Assured Rental Offer. Limited Period Offer. Stepsstone Avarta in ECR, Pondicherry by StepsStone Promoters Pvt. Ltd. is a residential project. 1st RERA DTCP Approved Beach Homes in South India. Private Beach Access within the Property.  The area of the VILLA is from 932 sq.ft. to 2212 sq.ft. Stepsstone Avarta price ranges from Rs. Rs. 9.86 Lacs to Rs. Rs. 5.06 Lacs. Stepsstone Avarta offers facilities such as 24/7 water supply and Lift.It also offers services like Garbage disposal. This is a RERA registered project with registration number TN/04/Layout/0044/2018. 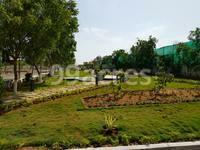 The project is spread over a total area of 13 acres of land. An accommodation of 263 units has been provided. 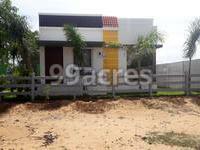 You can find Stepsstone Avarta price list on 99acres.com. Stepsstone Avarta brochure is also available for easy reference. Driven by both residential and commercial real estate demands, the real estate scenario of Pondicherry is on a positive track. The presence of a number of industries impact the job market in a positive note, leading to generation of housing demands. Well-known developers in the city cater these demands. Where is Stepsstone Avarta located? The project is located in ECR, Pondicherry. How much is the actual area of Stepsstone Avarta?The area of the project is 13.0 Acres. What is the construction status of Stepsstone Avarta?The expected date of project handover is Mar 2020. Does Stepsstone Avarta have cricket pitch? The project doesn't offer a cricket pitch. Does Stepsstone Avarta have kids play area? Yes the project has kids play area. Is Stepsstone Avarta RERA registered? Yes the project is registered under RERA. About StepsStone Promoters Pvt. Ltd.
StepsStone Promoters is a key realty player in Tamil Nadu. Founded in the year 2004 as StepsStone Constructions, it is now StepsStone Promoters. The Builders aim at bringing the complete satisfaction in all real estate deals with its customers. With ISO 9001 ? 2008" Certification is in process, the builder is a member of Builders Association of India BAI. 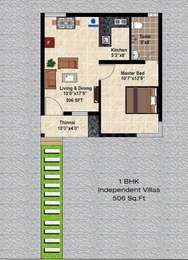 2 and 3 BHK flats, villas, bungalows and duplex houses. With the experience of more than a decade in real estate business, StepsStone Developers have delivered more than 40 projects, covering approximately 255000 sq. ft. The develop feels proud of realizing the dream of its customers for their new home.